Octavia I. Altheimer is a Senior Consultant at Siemens Health Services and the owner of her own consulting company Midwest Physician Services, an organization that focuses on revenue cycle analysis/operations, redesign of Patient Financial Operations and revenue recovery, organizational change and managing turnaround situations. She is also owner of Destined2Be a 501c (3) where is she works with youth and seniors assisting with career training and job placement. She is a visionary and a leader with innovative management strategies. She has demonstrated the ability to lead diverse teams of professionals to new levels of success in challenging healthcare industry settings. She has a proven record of maximizing revenue with organizations by developing tools and enhancing the revenue cycle for healthcare systems. Prior to founding MPS and D2B, Octavia was part of Dell Perots Consulting team where she oversaw the entire revenue cycle process for a large metropolitan hospital in the Chicagoland area. She also has worked with Walgreen’s Pharmacy Benefit Management team where she worked in a consulting capacity to redesign the formulary for several clients while being the lead in implementing and maintaining compliance with Medicare Part D and concentrating on managing regulatory compliance, minimizing denials and achieving appropriate coverage with patients who were enrolled in different tiers of pharmacy benefits. Octavia had the opportunity to complete an internship with the Center for Medicare and Medicaid where she was instrumental in the development and rollout of Medicare Part D.
In addition, Octavia has worked with institutions such as St. Margaret Mercy, Harris County Hospital District, DaVita, McNeal Hospital, Advocate Illinois Masonic, University of Chicago, Heartland Alliance, and East Chicago Health Center in the areas of billing, ICD9/ICD 10 coding, patient access, patient registration, denial management, cash posting, follow-up, auditing, quality assurance, utilization management, operational consulting, and physician/stafftraining and education. She has established training and quality-oversight programs to include front line managers and directors forpatient financial service programs atmany of these organizations to maintain compliance with the guidelines for billing and coding. She has extensive expereince with the Epic systems and very has a “metric driven” accounts receivable management philosophy. A niche has been carved out in the financial arena in the revenue cycle in which Octavia takes full advantage of with her expertise. She is acutely aware of the national healthcare reform’s potential impact on the financial viability of healthcare organizations as to why Midwest Physician was created in the awareness that there should be a streamlined approach in the billing and collection process. She has a combination of vision and drive that has proven to be an invaluable resource to many. Octavia is a veteran of the United States Army. 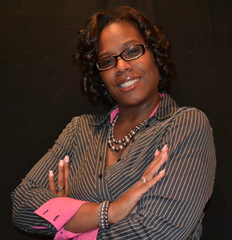 Octavia is actively involved with Destined2Be where she oversees all job training for the youth and seniors citizens. She is currently enrolled in a Doctorate Program at Central Michigan University where she is expected to receive her DHA, winter 2014. She holds a Master’s and Bachelor’s degree in Healthcare Administration from Governors State University and an Associate’s degree in Health Information Technology. She is the mother of 4 children, Octavius, Daniel Jordan, Alani and Leo Jr.